17 Oct 2017 --- The Botanical Adulterants Program, run by organizations including the American Botanical Council (ABC), has announced the publication of a new Botanical Adulterants Bulletin (BAB) on Rhodiola rosea (R. rosea). The bulletin details authenticity issues in the rhodiola trade. The rhizome and roots of rhodiola have been used for a number of ailments in traditional herbal medicine, particularly in northern Europe, the ABC press release notes. Modern scientific research on R. rosea began in the 1960s in Russia and established its use as an adaptogen, a botanical that “greatly improves the body's ability to adapt to stress,” according to the Medicine Hunter website. Much of the rhodiola material in trade currently comes from China, where it was introduced through Western research, the ABC press release notes. R. rosea was never part of the traditional Chinese medicine (TCM) system, and is not considered to be the primary or authentic species in China. Rather, R. rosea is one of several species of rhodiola (of which R. crenulata seems to be the most abundant in commerce) collectively known as hong jing tian. As such, it may not be surprising that analyses of materials sold in China as “R. rosea” have been found to contain other rhodiola species, especially R. crenulata and R. serrata. The bulletin was co-authored by Ezra Bejar, Ph.D., John Cardellina II, Ph.D., and Roy Upton. A total of 19 experts with knowledge of the rhodiola supply chain or expertise in medicinal plants, analytical chemistry and related scientific disciplines reviewed the document. The rhodiola bulletin includes information about the production and market importance of rhodiola, its main medicinal uses, a list of the known adulterants and substituted species, substitution frequency and analytical methods to distinguish R. rosea from closely related species. 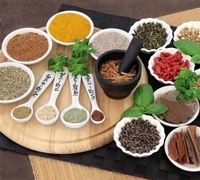 The goal of the bulletins is to summarize topics regarding botanical identity and adulteration, thus allowing quality control personnel and lab technicians in the herbal medicine, botanical ingredient, dietary supplement, cosmetic, conventional food and other industries in which botanical ingredients are used to be aware of adulteration problems that are apparently widespread and may imply health or safety concerns. The rhodiola bulletin is the 11th publication in the series of BABs compiled by the Botanical Adulterants Program. In August 2017, the program released a bulletin on the adulteration of tea tree oil (Melaleuca alternifolia) with undisclosed lower-cost materials, including synthetic chemicals.